During nearly a half-century of human spaceflight, space faring nations have learned to control toxicological risks well, but some of our lessons learned have been acquired the hard way – that is, through events that have placed the crew at risk of harm. 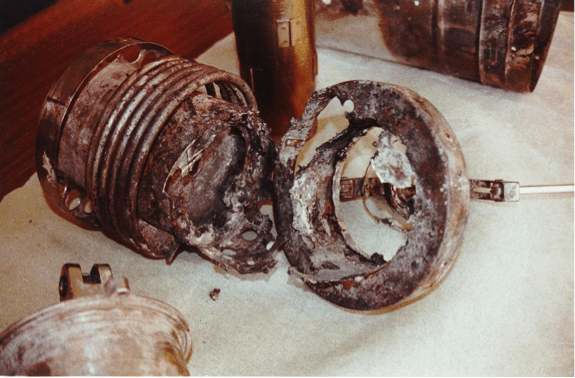 We learned not to put pressure-equalization valves too close to thrusters when the Apollo capsule became highly polluted with nitrogen tetroxide at the end of the Apollo Soyuz Test Program (ASTP). 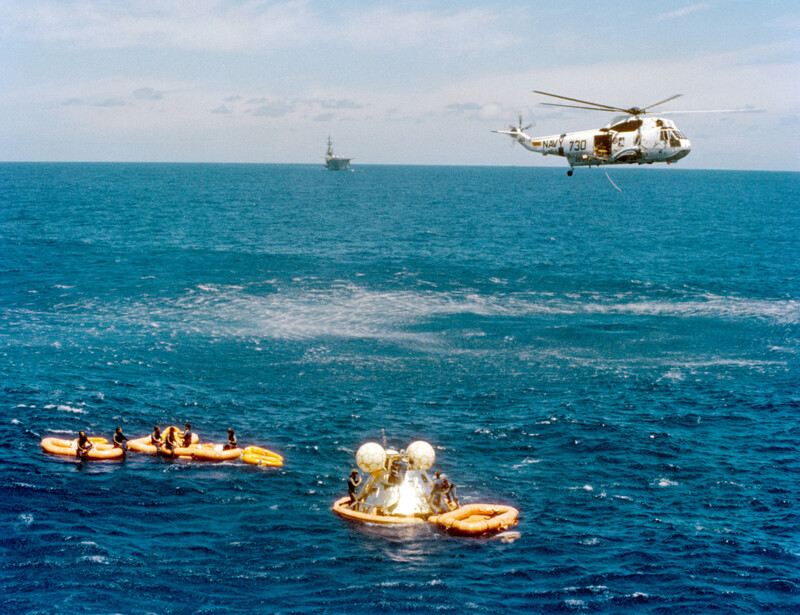 When the capsule was descending through the atmosphere, thrusters started to fire in an attempt to stabilize the descending capsule, while at the same time outside air was allowed in to increase the capsule pressure to sea level. The crewmembers experienced respiratory symptoms and delayed release of fluid into the lung. They were treated with oral steroids and released from the hospital 6 days after landing. No lasting effects have been reported. Fires, whether smoldering or openly burning, are frightening events during spaceflight. The toxicological threat from a fire cannot be judged from the apparent severity of the fire. For example, in 1997 aboard the Mir Station, a solid fuel oxygen generator caught fire and burned openly in the cabin for at least a minute. Samples of air revealed that dangerous combustion toxicants, such as carbon monoxide, remained at somewhat elevated but safe levels. The Mir air revitalization system restored the air to nominal conditions within two days and there were no adverse effects on the crew. In contrast, a year later the trace contaminant control system in the Mir Station produced a small amount of smoke when a heat-regenerated filter was prematurely placed into the flow stream. This caused a cellulose component to smolder. The air was quickly cleared of the smoke, but an experimental instrument suggested that levels of carbon monoxide were worrisome (these levels were confirmed later by ground-based analysis of samples acquired during the event). The crew reported no immediate symptoms and went about their duties. A few hours later the crew reported nausea and headache. These symptoms were consistent with the toxicological effects expected from the indicated levels of carbon monoxide. Carbon monoxide can require hours to enter the blood via the lungs and bind to hemoglobin where it blocks oxygen exchange. The crew recovered from their exposures by the next day as carbon monoxide levels decreased; however, it is known that exposures roughly double those experienced in this incident could have been lethal. Design and operational changes were made to reduce the risk of fire in both units. Excess offgassing from overheated polymeric materials can rapidly pose a threat to air quality. During the STS-40 Spacelab mission, an acrid odor was noted from the Orbiter Refrigerator Freezer (ORF). The odor was rapidly getting worse, so the unit was shut down and all openings were covered with duct tape. 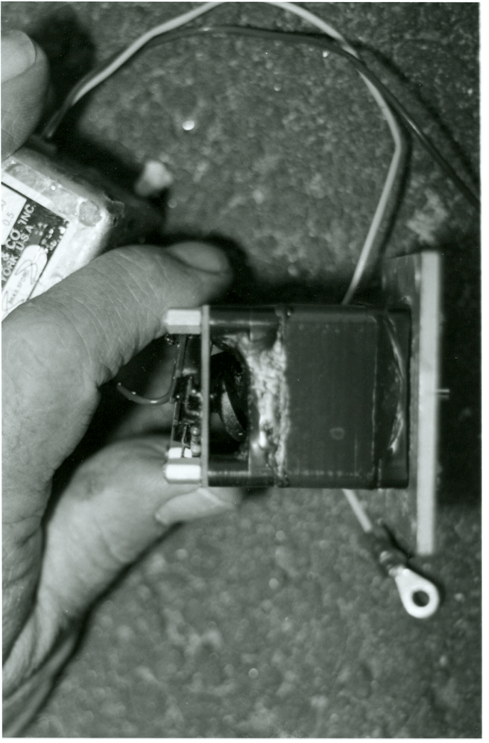 Inspection of the ORF on the ground revealed that a small motor with a Delrin® frame had overheated. Heated Delrin® produces formaldehyde. This irritating compound and others thought to be produced in the event had seriously polluted the atmosphere. The cause of the overheating had been a seized motor and no thermal protection to stop the current from trying to rotate the motor. Henceforth, thermal cutouts have been required on any devices that could overheat to a level capable of polluting the cabin or starting a fire. Although this event made for an unpleasant experience on orbit, the crew suffered no lasting effects. Toxicological accidents can originate in unexpected ways and from unusual sources. During the STS-55 Space Shuttle mission, the waste management system failed; therefore, waste was being stored in contingency waste bags. The crew reported that the bags were not leaking; however, a noxious odor was emanating from them. Because of the persistent odors, the crew refused to continue squeezing the bags to empty their contents into space. It was late in the mission and ground controllers concurred with the crew’s decision. An air sample, analyzed later on the ground, revealed that methyl sulfide compounds were being produced inside the bags. These compounds, originating from microbial metabolism, were small enough to penetrate the walls of the bag. This incident serves as a reminder that microbial hygiene is critical to maintaining air quality and that bags designed to hold liquids may not retain gaseous compounds associated with the liquids. Toxicological risks sometimes originate from totally unpredictable sources. An example of this occurred aboard the ISS after mission 7A.1. During that mission Metox filters from the EMU suits were placed in the regeneration apparatus. Regeneration involves flowing hot air through the canisters to desorb pollutants from the filters into the ISS atmosphere. The apparatus was not performing as the crew expected, so they stopped the process and the canisters remained in the regeneration apparatus for about 6 months, during which unheated ISS air slowly passed through the canisters. When the next crew attempted to regenerate the canisters, the flow from the apparatus produced noxious pollutants. The process was stopped, and the crew took refuge in the Russian segment of ISS for 30 hours while the air in the U.S. segment was scrubbed. During the 6 month period, the charcoal elements in the canisters had slowly absorbed ISS air pollutants, and the regeneration process had rapidly removed these compounds and dumped them into the ISS atmosphere. The major compounds found in an air sample were ethyl acetate and n-butanol. There was no apparent harm to the crew; however, considerable resources were expended in managing the pollutants and then understanding what hap-pened and ensuring that there would be no repeat of this event. Space toxicologists, in cooperation with engineers, crew trainers, operations personnel, and other technical groups, focus on prevention of air pollution within habitable areas through many careful controls; however, our efforts are not always successful. In order to manage the inevitable toxicological events when they occur, we are expanding our air monitoring capabilities aboard the ISS. Our ultimate goal is for exploration crews to have all the tools they need to manage any plausible toxicological problem that could occur when they cannot rely on ground assistance.